Houzz- Anyone who has visited Houzz for anything can attest how easy it is to get lost for hours (or days) on their website. One click leads to another which leads to another. It’s amazing to see some of the architecture and design work done with natural stone or any other product. Yes, there is a marketplace but if you are looking for design inspiration of any kind, Houzz should be your first stop. Use Natural Stone - This is a great one-stop destination for anyone interested in the use of natural stone from around the world. 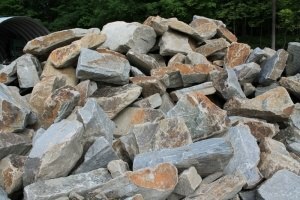 A visit to usenaturalstone.com provides articles, videos, professionals, and links to countless other resources. If it has to do with natural stone they either have it on their website or they have a link to help you find it. We follow this website closely to learn about news, trends, and to share with a customer when they have questions. Don’t skip over this awesome natural stone resource. CADdetails Blog - CADdetails may be known for the technical side of the building industry but their new blog guarantees to inspire. Whether it’s interior design, landscape, architecture, eco-friendly, or any other building and design topic, they cover it. This is one of the best resources for natural stone inspiration on the internet. Pinterest - You’re probably wondering why this isn’t #1. If it’s images you’re after, it’s images you’ll find on Pinterest. Here you will find quotes, images, recipes, design work… the list goes on. If you need images to inspire you go visit Pinterest… you will leave here with more inspirational images then you’ll know what to do with! Architectural Record - We subscribe to the print edition and still follow this website closely. Most people think this website is for architects only but a quick visit tells a different story. They have something for everyone: Projects, Images, Continuing Education, News, and plenty of other information. Add the Architectural Record to your list of resources for building and design. You won’t be disappointed. BSI + MIA - These two organizations recently merged to create a “Mega Resource” for the Natural Stone Industry. Following this organization will help anyone interested in the use of any natural stone: veneer, granite, quartzite, bluestone, marble… you get it. The Building Stone Institute and Marble Stone Institute have joined forces and now provide one amazing resource for all of us in the building and landscape industry. Stone World Magazine- When naming the best natural stone resources it’s tough to leave off Stone World Magazine. Like any magazine there are ads but if you look past that you find some excellent content and information. They continue to write great articles and feature industry experts to help generate more value to the reader. For those of you who are tech savvy, you can download their app and check it out on your phone or tablet. Any time I have written an article stating “the best” of anything someone disputes it. I wanted to include our own stone veneer resources page but truthfully I don’t think it’s one of the best natural stone resources… yet. I do look forward to the day it is one of the best. Until then enjoy these great resources and feel free to comment to leave your own or contact us to share one we may have missed!